Al-Sayyid Abdallah Fadaaq is the leading Sufi cleric of the Hijaz and the cheif of the Husayni line of the Prophet Muhammad’s (peace and blessings be upon him) descendents in the Hijaz. Al-Sayyid Abdullah comes from a family of Islamic scholars from Makkah Al Mukkaramah. His grandfather was amongst the leading scholars of the Hijaz during the Ottoman and Hashemite era and served as Imam at the Grand Mosque of Makkah. Differences arising with the current Wahabi regime forced him to leave teaching at the Grand Mosque in Makkah like his ancestors, to teach privately from his home in Jeddah. Shaykh Abdullah has authored many books and reguralry appears in the Arab media and was a close student of the late Sufi scholar and sage of Arabia; Imam Al-Sayyid Muhammad ibn Alawi Al-Maliki Makki (rah). 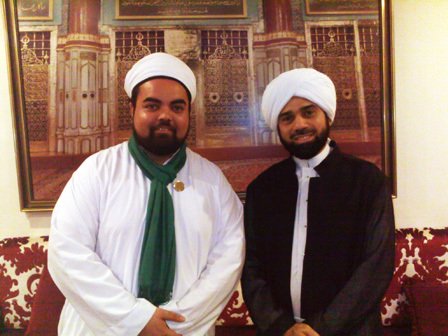 Al-Sayyid Abdullah Fadaaq invited Sayyid Ahmed Amiruddin, a Deputy of Shaykh Mehmet Nazim Adil al-Haqqani, to his home during his Hijaz tour. 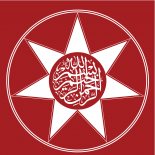 This entry was posted on July 22, 2010 by ASFC in Uncategorized and tagged al-Makki, al-Maliki, Hijaz, islam, Mahdi, Makkah, Muhammad ibn Alawi, Saudi Arabia, Sayyid, Sayyid Ahmed Amiruddin, scholars, Shaykh Abdullah Fadaaq, Shaykh Nazim Adil al-Haqqani, sufi, Sufis, Sufism, Sunni, Ulema, Umrah, Wahabism.